Starting with the first plate, stick 1 round sticker on it. For plate 2, stick 2 round stickers on it, proceed the same up to 10. Write the number for each plate on the back of it. 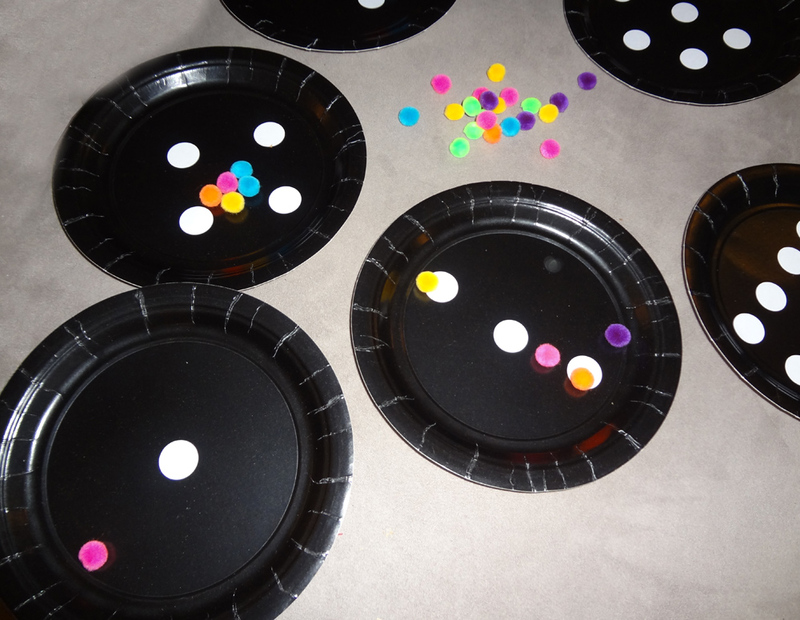 Child practices one to one correspondence as he/she places pom-poms onto each dot on a plate. Then have him/her find the number tile that matches the number of items and place it on the plate. 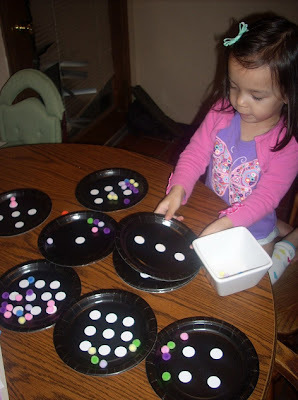 Turning the plates over, child counts pom-poms onto appropriate number. Although Leah is good at counting, and is able to place the puff balls in the small white circles, she prefers randomly distributing puff balls among the plates and pretending they're food. She also likes pouring them off the plates back into the bowl. I think she'll grow into counting them out to match the plates.